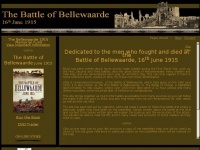 A total of 2 reviews for Bellewaarde1915.co.uk have been written yet. The most recent reviews are listed below. This website has brought to life the otherwise not discussed Battle for Bellevaarde and is a credit to the years of research carried out by Martin Clift. It contains a roll of honour listing those soldiers killed in this battle which was regarded as a minor skirmish by those in command despite the fact that some 4000 casualties (killed or injured) were recorded by both allies and Germans. The site provide an opportunity for relatives to add content of their relatives to keep alive those killed that day. Excellent educational website. Well laid out with easy to use navigation system. Would like to see information of other battles at Bellewaarde.